Early Check-In Every Week at 1:00PM ! This wonderful Oceanfront home has fabulous Ocean Views, beautiful decor along w/ many custom touches that are sure to be a hit w/ your family. The kitchen is elegant w/ granite counters, stainless steel appliances, 2 refrigerators, & a large pantry. Nothing has been overlooked! 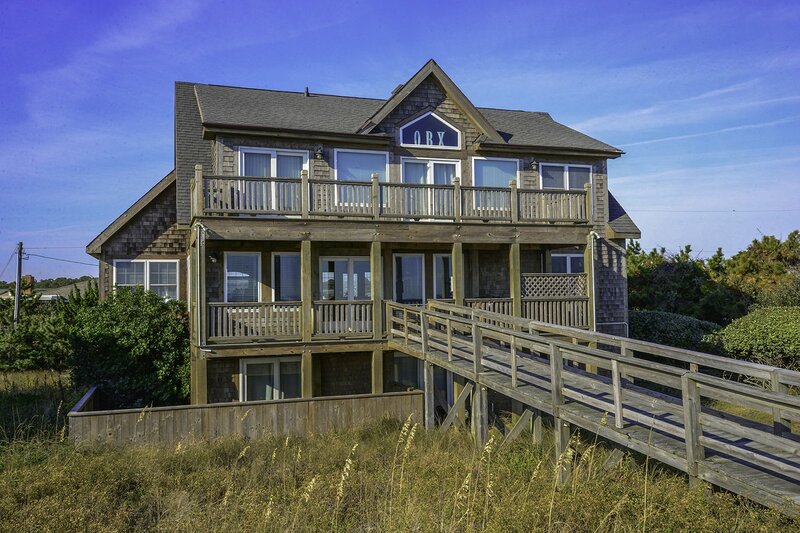 This is an extraordinary home w/ lots of decking & an elevated walkway that leads to the Dune Top Deck. 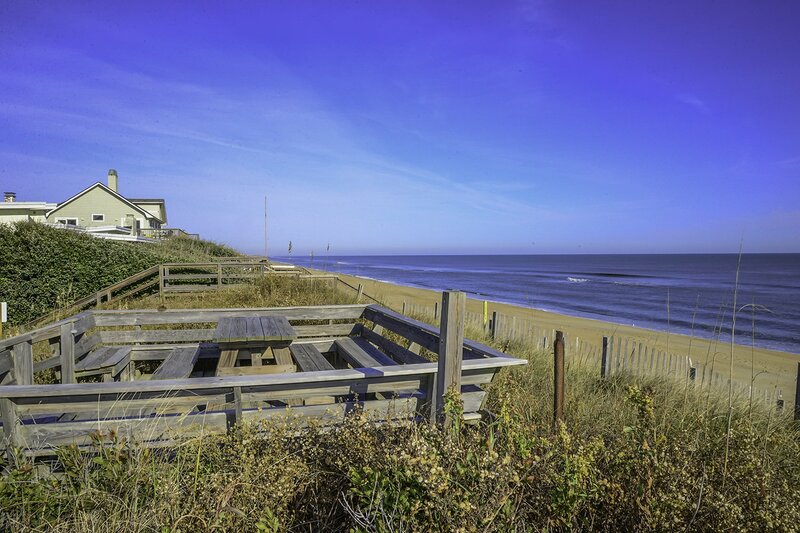 Access to the Beach is by an on-grade walkway located next to this home. Ground Level: Parking for 3 Cars, Garage for Parking, Storage, & Dog Washing Station, Large Enclosed Area w/Pool Table, Foosball, Air Hockey, Video Games, TV, (Games are Coin Operated & All Proceeds are Given to the Dare County SPCA), Laundry Area, Full Size Refrigerator, Half Bath, Enclosed Outside Shower, Gas Grill & Fenced Area for Your Dog. Mid Level: Living/Dining/Kitchen Area, Large Flat Panel TV, Hardwood Floors, Gas Fireplace, Great Ocean Views, Half Bath, 2 Bedrooms (1 Master Suite w/King & Full Bath (Shower Only) & 1 Master Suite w/2 Singles & Full Bath (2 Shower Only), Ocean Front Covered Deck w/Hot Tub, & West Side Covered Deck w/Gas Grill. 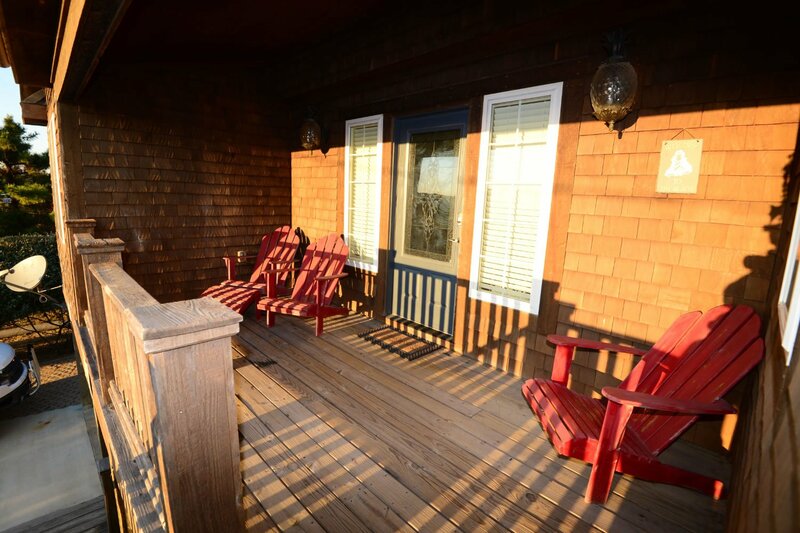 Top Level: 2 Bedrooms (2 Master Suites w/Kings, TV's, & Full Baths (Shower Only), Den w/TV, Full Bath & Sun Deck. The Views of the Ocean & Beach are Fabulous from Every Room on this Level. Features include: C/AC & Heat, Washer/Dryer, Dishwasher, Microwave, Phone, DirecTV, 7 TV's, DVD, Stereo w/CD, Computer w/Wireless Internet, Ceiling Fans, Deck Furniture. 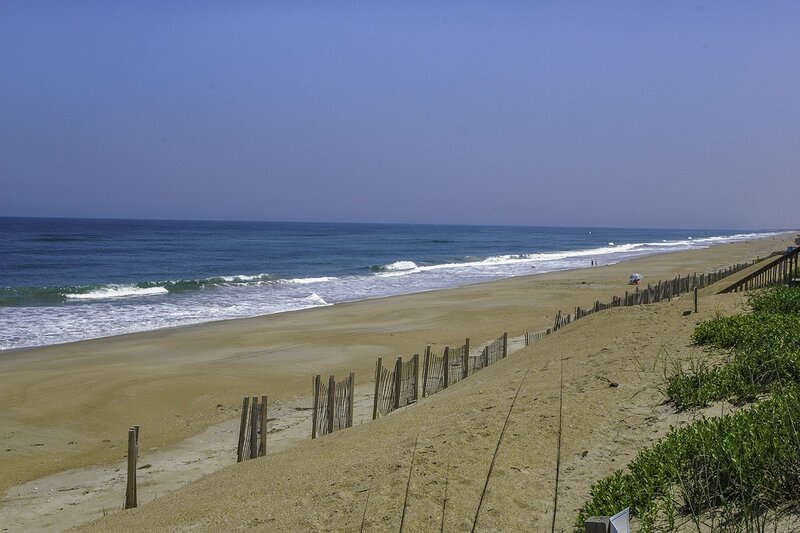 A Member of the Southern Shores Civic Association (SSCA) which provides you w/No Fee Access to 4 Miles of Southern Shores Beaches w/Parking, Boat Launching Area, 3 Soundside Marinas, Soundside Bathing, Beach, & Picnic Area, Sea Oats Park/Play Ground, & Walking/Biking Trails, & Member SSCA Tennis Club. Two Mature Dogs Allowed w/Fees. This is a Non-Smoking Unit. Incredible house. Best vacation rental we have ever stayed in. Have stayed there for years even with less expensive options. The house was perfectly decorated! Loved the beach decor! The house was amazingly well-stocked! The setup was perfect for our group. Views were incredible! Loved everything about the house. We loved the home! It was furnished wonderfully. It was spacious and well kept. We felt right at home! This was our first experience renting a home. We are grateful such a beautiful home was made available to us. We love this house and really feel like we are at home there every time we come back. We don't even look for other houses now. treat it like your home and not just a rental. Can't say enough good about it! Our only fear is you retire before we do! Lol. This is a wonderful home to stay in. Very comfortable, beautifully decorated and fully stocked. The high chairs on the top deck make all the difference to enjoy the views. It is impressive how well stocked the kitchen is with utensils, pots, pans, etc... It is also impressive how the house is maintained and new pieces of artwork, decor, etc. are added. You really do treat it like your home and not just a rental. Can't say enough good about it! Our only fear is you retire before we do! Lol. Last year we stayed at Aqua View and although the home was perfect we had small concerns about the very low lighting in the kitchen. This year we were thrilled to see the kitchen lighting improvements that were made! How wonderful, thank you! We truly enjoyed staying in your beautiful home. We are going to purchase a pet wash station like yours. Our family loved the game room, we had a challenge night to see who could win the most games. I think your SPCA donation is going to be a large one as I believe we went through $120 in quarters! Thank you for sharing your special home with us! Our best friends got engaged on 8/21 there. We wrote, Will you marry me? , in the sand. 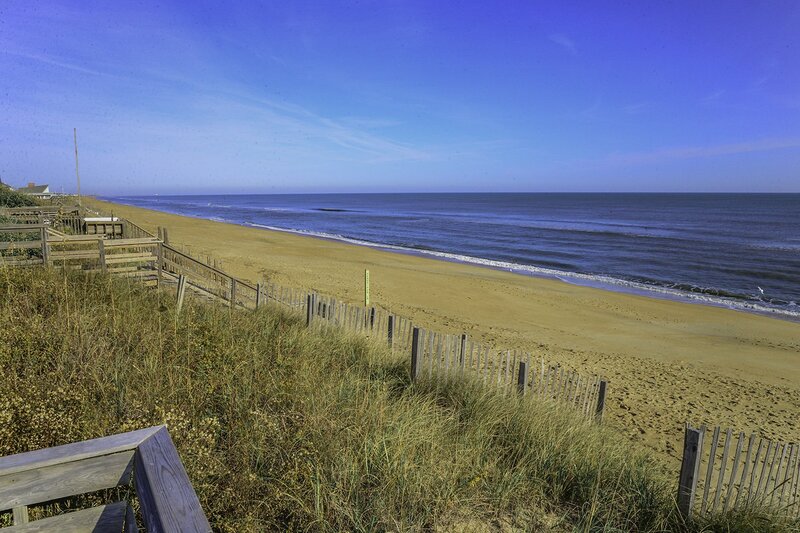 We have been vacationing in OBX since 1986 and have stayed in many houses through several different agencies. This was our best experience. Everything about the home and what it offered was perfect! By the photos this cottage was beautifully decorated and had many amenities. We loved their love of dogs as we love them too. The kitchen is very equipped. We very much enjoyed this beautiful home and all of the amenities. Access to a gas grill along with a keurig was great! We so appreciate being allowed to bring our miniature schnauzer. Thank you! He enjoys the week as much as we do. We already reserved our week for next year! The game room was fun! We were so happy with our stay at Aqua View! The homeowners have made it a warm and welcoming home. Not a detail has been overlooked. we LOVED this home! Plan to book again next year. Most comfortable beds we have ever slept on in a rental! Thank you! It's a beautiful home, very well appointed and well stocked kitchen, Wonderful kitchen to work in! Definitely will recommend this home. 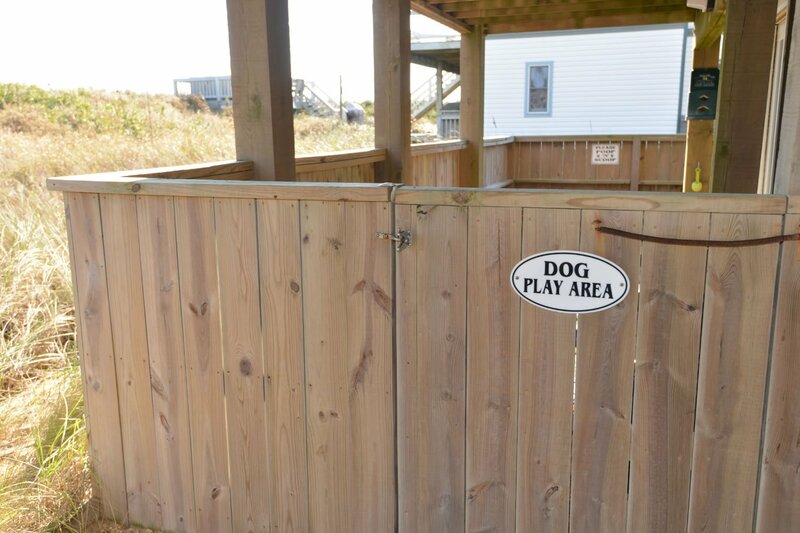 If you have a pet you want to bring along to the Outer Banks, this is the place for you. 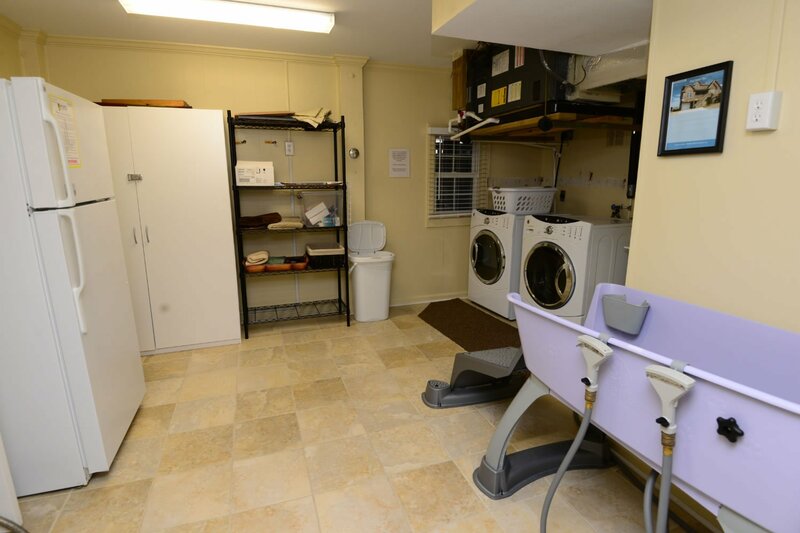 The owners have provided a nice-sized outdoor enclosure complete with doggie bags and a dog-washing station in the large laundry room on the lower level. 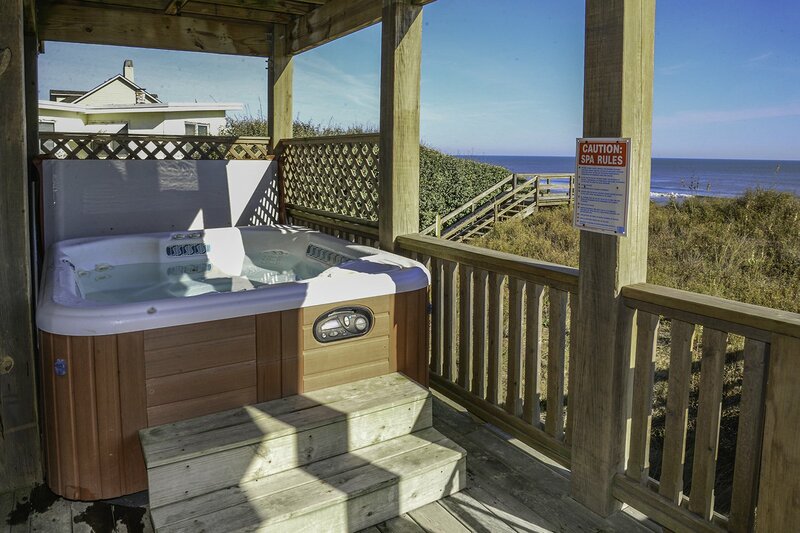 If you like to relax in a hot tub and look out on the ocean, this is the place for you. If you want to stay in a beautifully decorated house with comfortable furniture and every piece of cookware you could possibly use or need, this is the place for you... It certainly exceeded our expectations and we were very pleased. This home was very cozy and comfortable and extremely dog friendly, which our Golden, Gracie, loved. 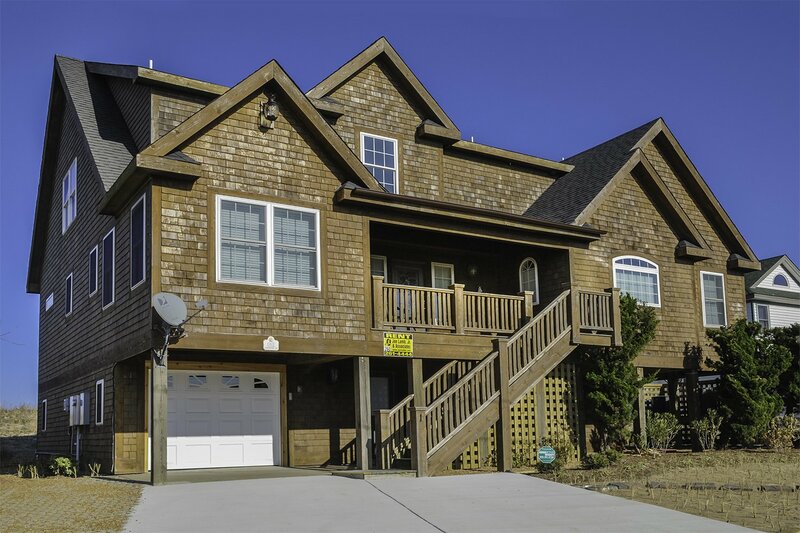 Perfect quiet/private location,close to the quaintness of Duck/Corolla and Currituck and the many restaurants just to the south. Well worth the money, beautiful home, tastefully decorated, well stocked. Would rent again. We loved the house and how much thought the owners put into it. Beautiful views. We had a great time. The house was great and we already reserved it again for next year. Great area and very quiet. 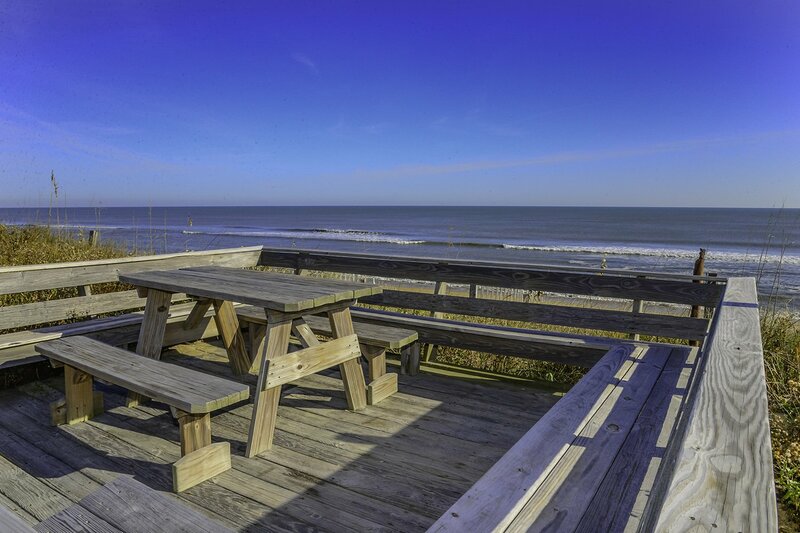 Love the dune deck and spent every morning watching the sunrise. The owners did an amazing job with the decor of the house and it was very welcoming. Extremely welcoming to guests. I have rented this home twice. The dog friendlyness is outstanding. Thank you for sharing. Do it! You will not regret your decision. Lovely home, well furnished, very clean. Great location. You can easily drive to other towns for tours, comedy club and adventure and then return to this wonderful home for peace and quiet. This house has to be one of the best offered on the island. Grocery store, shopping, restaurants all close by. Six of us stayed here along with my son's beloved dog, Bailey. There was even a enclosed outdoor area (conveniently attached to the home)for Bailey to play. We couldn't have asked for anything better, and it exceeded our expectations.